Say Fu@! Off To White Powder! B. 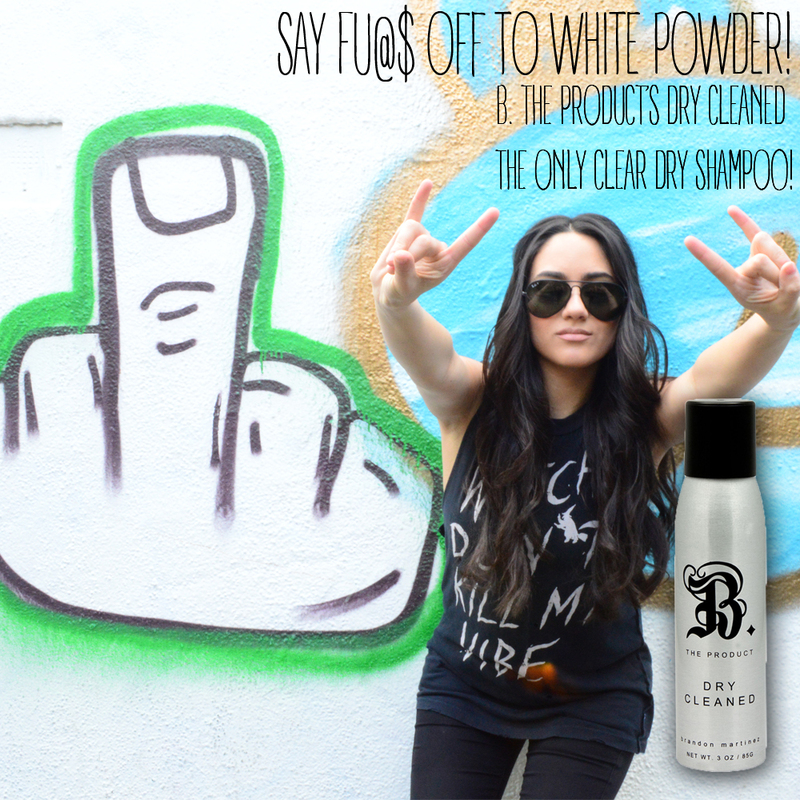 The Product's Dry Cleaned, The Only Clear Dry Shampoo! Nothing is worse than using a Dry Shampoo and getting white powder all over everything including your hair! Say Fu@! off to white powdery Dry Shampoos and say hello to B. The Product's Dry Cleaned. Dry Cleaned is a sheer and clear, volumizing Dry Shampoo that allows you to go an extra few days without a traditional hair wash. Get the best Dry Shampoo right now for 25% off @btheproduct.com. Who else loves the B. The Product's Dry Cleaned? The Rachael Ray Show. Watch here to see the Dry Cleaned in action!